Discontinued.The Intec 34c is a highly efficient combi boiler with an output of 34kW. It is available as a natural gas boiler or an LPG boiler. It comes with many ways to make the boiler efficient, including a filling loop, stainless steel heat exchanger, valves and tails that are factory fitted, a Grundfos pump and hydroblock assembly, one piece cartridge diverter valve, and a clip-on DHW temperature sensor. This reliable boiler comes with a daily pump kick to help your boiler keep working when you may not necessarily need it. A frost thermostat will help it through the cold wintery days, and detailed fault codes help you to diagnose any faults with the boiler if by any chance it may go wrong. 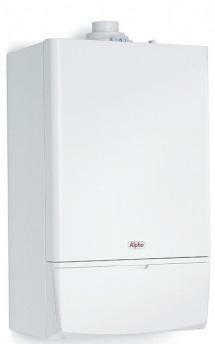 This boiler is also available in 30kW and comes with a 7 year warranty.